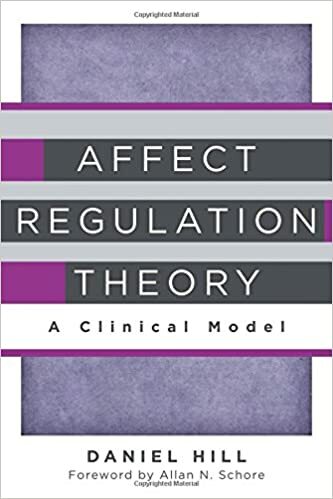 The rich, complex theory of affect regulation boiled down into a clinically useful guide; which I am currently reading (May 2016). Affect regulation theory—the science of how humans regulate their emotions—is at the root of all psychotherapies. Drawing on attachment, developmental trauma, implicit processes, and neurobiology, major theorists from Allan Schore to Daniel Stern have argued how and why regulated affect is key to our optimal functioning. This book translates the intricacies of the theory into a cogent clinical synthesis. Attachment theory (J. Bowlby, 1982/1969, 1973) is one of the most useful and generative frameworks for understanding both normative and individual-differences aspects of the process of affect regulation. In this article we focus mainly on the different attachment-related strategies of affect regulation that result from different patterns of interactions with significant others. Specifically, we pursue 3 main goals: First, we elaborate the dynamics and functioning of these affect-regulation strategies using a recent integrative model of attachment-system activation and dynamics (P. R. Shaver & M. Mikulincer, 2002). Second, we review recent findings concerning the cognitive consequences of attachment-related strategies following the arousal of positive and negative affect. Third, we propose some integrative ideas concerning the formation and development of the different attachment-related strategies. During the past decade a diverse group of disciplines have simultaneously intensified their attention upon the scientific study of emotion. This proliferation of research on affective phenomena has been paralleled by an acceleration of investigations of early human structural and functional development. Developmental neuroscience is now delving into the ontogeny of brain systems that evolve to support the psychobiological underpinnings of socioemotional functioning. Studies of the infant brain demonstrate that its maturation is influenced by the environment and is experience-dependent. Developmental psychological research emphasizes that the infant’s expanding socioaffective functions are critically influenced by the affect-transacting experiences it has with the primary caregiver. 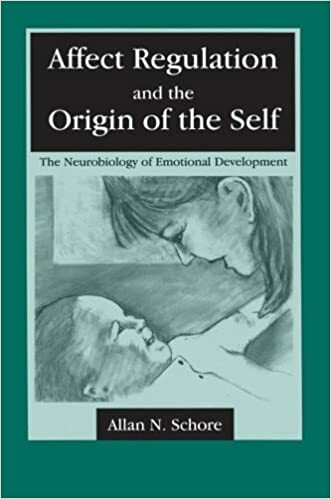 Concurrent developmental psychoanalytic research suggests that the mother’s affect regulatory functions permanently shape the emerging self’s capacity for self-organization. Studies of incipient relational processes and their effects on developing structure are thus an excellent paradigm for the deeper apprehension of the organization and dynamics of affective phenomena. This book brings together and presents the latest findings of socioemotional studies emerging from the developmental branches of various disciplines. It supplies psychological researchers and clinicians with relevant, up-to-date developmental neurobiological findings and insights, and exposes neuroscientists to recent developmental psychological and psychoanalytic studies of infants. The methodology of this theoretical research involves the integration of information that is being generated by the different fields that are studying the problem of socioaffective development–neurobiology, behavioural neurology, behavioural biology, socio-biology, social psychology, developmental psychology, developmental psychoanalysis, and infant psychiatry. A special emphasis is placed upon the application and incorporation of current developmental data from neurochemistry, neuroanatomy, neuropsychology, and neuroendocrinology into the main body of developmental theory.